The word exercise almost always conjures up images of heavy workouts, rippling muscles and rigorous stretches. It is not very often that we realize how important it is to exercise our eyes as well. Healthy vision is one of our most treasured senses yet many of us take it for granted until it begins to fail. 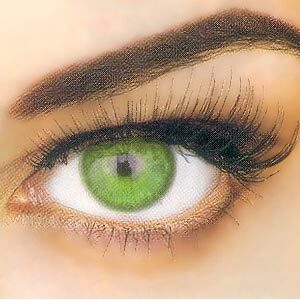 Eye exercises are not time consuming - merely 15 - 20 minutes a day will suffice. These eye exercises can go a long way in reducing stress and fatigue on the eyes as well as correcting certain vision problems. Find out how simple eye exercise can benefit - You. Like any other muscle, the eye muscles also need exercise to be healthy and strong. Most of the time, we only shift our gaze minimally from left to right, when reading and turning our heads if we want to look elsewhere. Moving your eyes in all directions without turning the head can help strengthen the eye muscles, prevent eyestrain and improve eyesight. The basic eye exercises are palming, sunning, swinging and vision shifting. Rub your hands together to make them warm. (You can shake them or hold them in front of a heat vent if you prefer) Then close your eyes. Cover your eyes with your warm hands. Make sure your hands do not touch your eyelids and that you do not rest your cheekbones on your hands. If you want to place the weight of your head on your hands, put the weight on the forehead. Then look at the dark. If you see spots or zaps of light, wait till you see the dark. Don't hurry. Do this at least twice a day for 5 to 15 minutes. Try to do this eye exercise once a day. It requires a sunny day or a good desk lamp with an incandescent bulb. Close your eyes. Look directly at the sun through your closed eyes. While facing the sun, slowly rotate your head from side to side as far as you can. This gets the sunlight on the peripheral vision, and it helps bring more blood circulation to your neck. Do this for 3 to 5 minutes. It's amazing, even on a cold day, how warm the sun feels on your eyes. Stand with your feet shoulder-width apart, arms hanging loosely at your sides. Look out a window. Shift your weight to your right foot, and swing your upper body to the right, letting the heel of your left foot come up off the floor. Watch your surroundings as you swing. If you can see a tree out the window or in the distance, notice how it seems to move opposite to the direction you are swinging. This eye exercise benefits the eyes and your back. This eye exercise is as simple as it sounds. Whenever it occurs to you that you've been spending too much time staring at the monitor, purposely shift your vision to look at the weave of the fabric on your sleeve or the poster on the wall or the tree across the street. Close your eyes as tightly as you possibly can. Squeeze the eyes, so that the eye muscles contract. Hold this contraction for three seconds and then let go quickly. This exercise causes deep relaxation of the eye muscles and is especially beneficial after the slight strain caused by the eye exercises. Blink the eyes a few times. These eye exercises help to do away with eyestrain and tension. Eye exercise benefits extend to those suffering from weak eyes, dry eyes, macular degeneration and other vision problems. Since the health of the eyes depends on the strength of the eye muscles, it is essential to keep the eye muscles well exercised and well toned. Your vision will get better and clearer as the ophthalmic nerves receive a richer supply of blood. Some people use this to improve their vision. Like any other part of the body, the eye muscles need exercise. Eye exercises help keep the muscles strong and active. They also help relieve the strain of looking at a computer screen for extended periods. Lazy eye: This is an eye condition that is seen in children where there is lack of development in one eye. This condition needs to be detected early so as to prevent crossed eyes. Eye exercise therapy is used to improve the lazy eye condition. A patch is worn over the good eye for a few weeks or months and the lazy eye is exercised so as to strengthen it. Dry eyes: Eye exercise benefit can extend to those suffering from dry eyes. Exercising the eyes can aid in better fluid balance in the eyes. The problem of Computer Vision Syndrome or CVS is caused by the fact that the brain and eyes have to react differently to characters on the screen when compared to the printed matter. Long hours in front of the computer monitor and the consequent glare and reflection have a bearing on the eye. headaches, double or blurred vision, burning and tired eyes and neck and shoulder pains are characteristic symptoms of CVS. Eye exercises can help in reducing the strain on the eyes and thereby providing relief to those suffering from this condition. Persons using the computer are advised to look away from the computer screen every 30 minutes and focus on distant objects for about 10 seconds.